Russian Foreign Minister Sergei Lavrov has said that at the Vienna meeting with his U.S. , Saudi and Turkish counterparts he suggested that these nations join a Russian-Jordanian, Amman-based mechanism coordinating military air operations in Syria. "At the today's four-party meeting I suggested that our partners, U.S, Saudi and Turkish ones, too should use this opportunity, this mechanism, based on which all issues can be solved, which so far have prevented efficient suppression of ISIS, Jabhat an-Nusra and other terror groups," Lavrov told reporters in the Austrian capital on Oct. 23 after talks on Syria with his counterparts. Such cooperation could be possible, "including in the framework of the initiative proposed by the president, i.e. to jointly agree on targets, to jointly agree on - finally - the list of organizations classed as terrorist, there are criteria for that too, there are Security Council lists, and there are national lists in Europe and in the U.S. and in the Russian Federation," Lavrov said. "So far our partners have been evading it," the minister said. It is equally important "to agree on not just targets of the enemy, our common enemy, terrorism, but to also agree on those areas (in Syria) which are controlled by the patriotic opposition, to help it confront ISIS and other terrorists and to get this armed patriotic opposition to join in the political process as well," the Russian minister said. "Under agreement between the Russian president and the king of Jordan, it was agreed between our military to form a mechanism in Amman, where representatives of our (Russian and Jordanian) defense ministries will coordinate counter-terrorist efforts in the Syrian sky on a daily, professional basis," Lavrov said. "There are very specific methods that our military will be using. 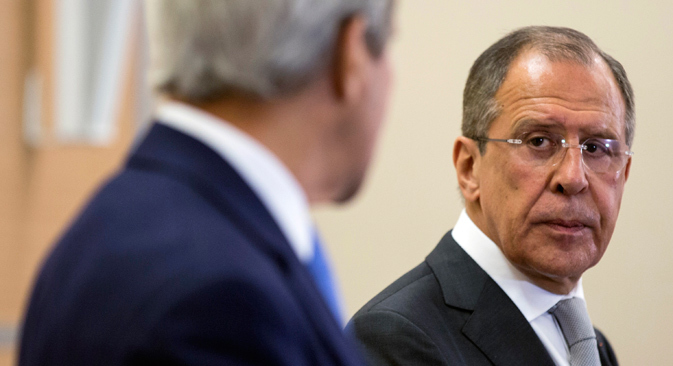 All this has been agreed upon and stipulated," the Russian foreign minister said.